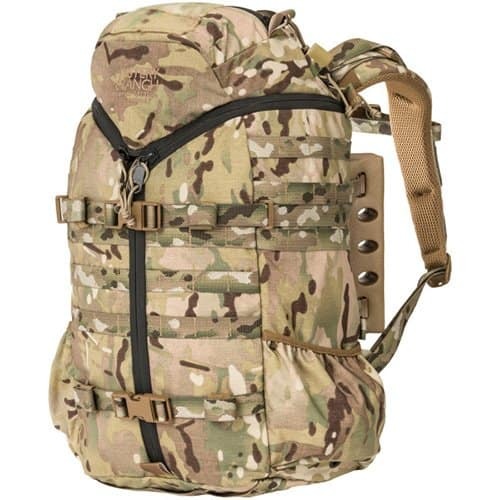 Mystery Ranch has been designing and manufacturing packs for serious outdoor use, including military, hunting, wildland fire, and mountaineering fields. 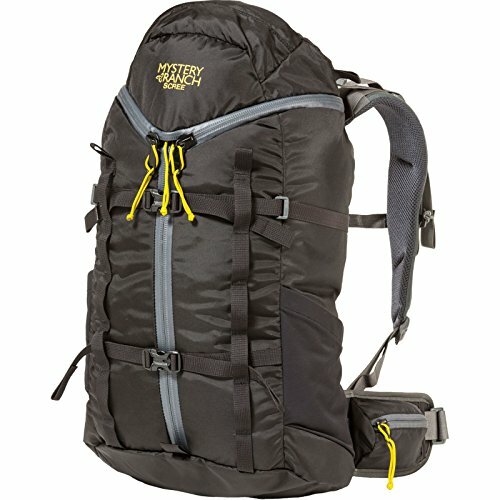 Mystery Ranch was founded in 2000 and has since been a highly respected pack company that easily rivals some of the bigger name brands out there. This brand really found their niche as many outdoor gear brands produces backpacks that were versatile but lacked an activity-specific use. Since there wasn’t really a company produces backpacks designed for military, hunting, and mountaineering use, Mystery Ranch stepped in and prospered. 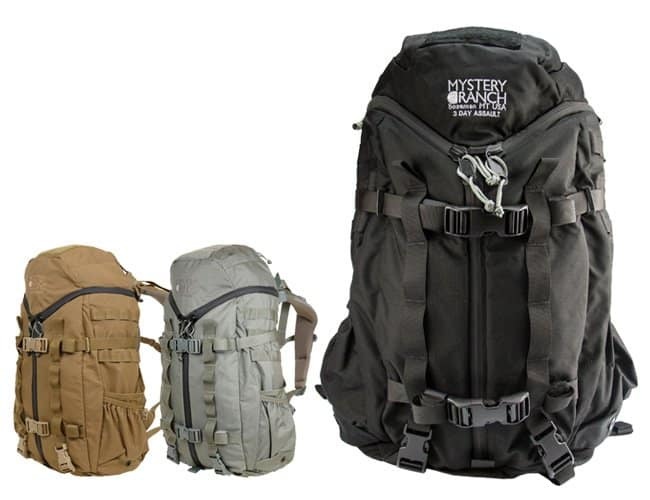 As you would assume with a brand that makes military-grade gear, the backpacks produced by Mystery Ranch are serious in design and extremely durable in material choice. These backpacks would be overkill for the casual outdoorsman, but worth every penny for anyone that wants a feature-rich backpack that can carry their entire load easily and comfortably. One of their more versatile backpacks is the 3 Day Assault Pack. Based off of the name alone you can tell that this particular backpack was made with the military in mind, but don’t let that put you off. This backpack is the perfect size and design for a number of different outdoor uses. The current 3 Day Assault Pack is actually a new design of an old model, made even more versatile and compact for mobility. If you’re in the market for a military-grade, super tough yet high-tech backpack, the 3 Day Assault Pack could make a surprisingly good choice. This backpack retails new direct from Mystery Ranch for $325 and is available in four colors – Foliage, Black, Coyote, and Multicam. The number of positive reviews for the 3 Day Assault Pack are more than enough reassurance that this bag is the real deal, but here are 3 major reasons why you might want to buy one yourself. Just one look at this backpack and you can tell that this is a no-frills bag that does exactly what it’s supposed to. Mystery Ranch found the perfect balance between high-tech and classic design details. The 3 Zip design allows you to completely open up this backpack, making the retrieval of an item much easier as you won’t have to remove gear if what you need is on the bottom. Most military-spec backpacks do not have this type of feature. The addition of a waist belt and additional shoulder padding makes the 3DAP very comfortable to wear all day long. The Future harness system allows anyone to fit this backpack to their own torso size. While it is a unisex backpack and majority of the users are men, the Future harness will allow for those with smaller frames, like women or older teenagers, to use this comfortably as well. Being able to compress a backpack is important for many reasons, primarily to secure the load within the backpack and to make the overall size of the bag more compact. When carrying potentially damageable items it is important to be able to cinch down the bag. You’ll also find that not only does this compression make the bag more compact and mobile, but it also is more comfortable to carry. If you’re hiking along and your gear is jostling around inside your bag, you’ll only be exerting more effort to compensate. Compression straps eliminate this concern. There are a bunch of MOLLE straps on the front panel and sides of the 3DAP as well. This is perfect for strapping extra gear onto, whether it’s to save room inside the bag or just to keep certain tools or devices in easy reach. Though this types of strapping is very common for military use, outdoor enthusiasts will get plenty of use from it too. The double side pockets also come in handy for water bottles, snacks, and other small items. Even though the original purpose of this pack is clear, this doesn’t stop it from being an amazing choice for everyday use. There are plenty of customers who enjoy the military look and durability, using this backpack on a daily basis during commutes or to the gym. It is great for traveling, whether it’s local or global, as well. It is most at home outdoors and can pretty much handle any type of outdoor activity, save for extremely heavy loads/long backpacking trips. This backpack isn’t too hot to wear and won’t overheat you in hot weather. If it ends up getting wet it doesn’t take long for the cordura to dry out, if they weather is fairly warm. Cold isn’t an issue and the YKK zippers won’t become brittle in very low temps. The 3DAP can be used in any region and many have found the zipper even still work when caked with sand, mud and debris. There isn’t a lot you can find wrong with the design of the 3DAP, but there are two things to consider before purchasing. Since the 3DAP is a military-grade backpack you would expect the most durable materials possible used. However, what consumers sometimes fail to realize is that there is a fine line between durability and lightweight, meaning some durability will need to be put aside if the backpack is to be lighter in weight. The thicker, more durable the material, the more it weighs. Overall the 3 Day Assault Pack is extremely tough, but there are a couple areas where it fail not be as tough as you’d expect. For one, the bottom of this backpack is not reinforced. Companies adding extra durable bottoms to backpacks is very common in hiking or backpacking bags as often times your backpack will be set down on rocky ground. The bottom of this backpack is the same material all around. 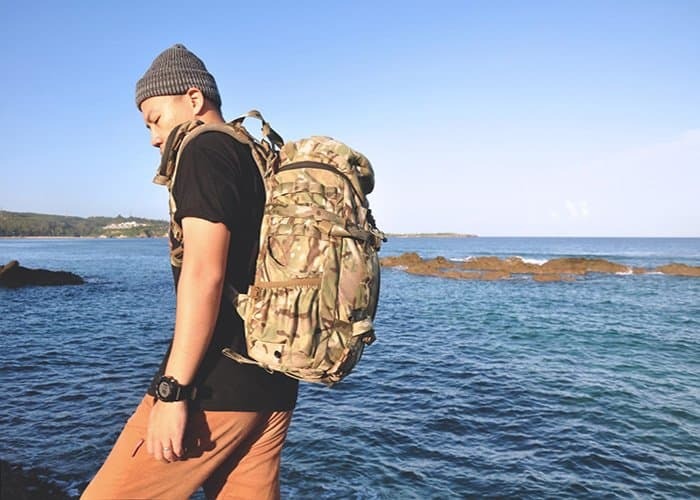 Some customers who are using this backpack for military-style work or even combat may find the 500D material lacking, believing it should be a 750D minimum. Naturally, this isn’t so much of a worry for outdoor enthusiasts, especially considering 500D Cordura is already a very strong choice compared to backpacking packs. The 3 Day Assault Pack has a decent sized waist belt, not a simple, thin nylon strap, but it seems as though the waist belt should have offered a little more support. Mystery Ranch doesn’t include a recommended or max. load out weight, but for the most part, you can expect to lug around 30 to 40 lbs fairly comfortably. However, once you get close to the 40lb mark or above you’ll find that the waist belt doesn’t quite have as much vertical support as a true backpacking-style pack. 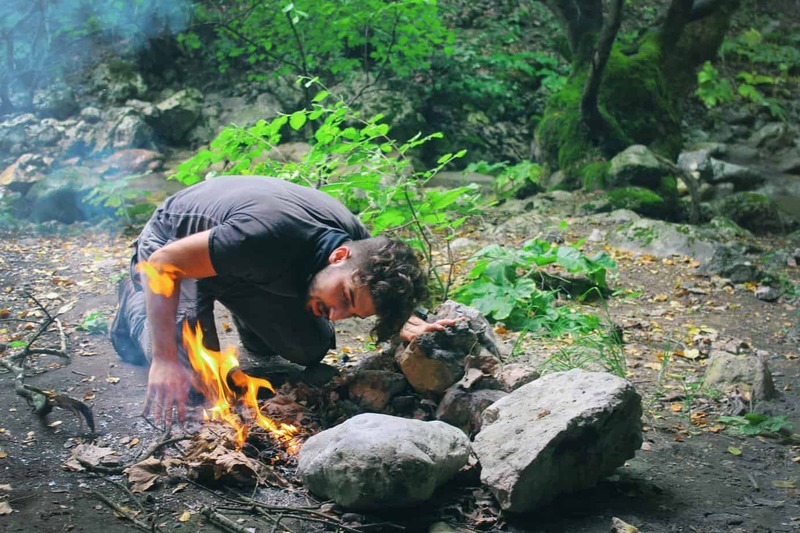 This isn’t too much of an issue for the average person but is still important to keep in mind if you’re planning on using it for serious weekend backpacking trips. Overall the 3 Day Assault Pack is an highly durable, attractively designed backpack that is far tougher than the average person really needs. It retails for $325 (For the latest prices and discounts, check here) which is very reasonable for the quality and lifespan you’ll get from it. It is the ideal size for a variety of activities, whether it’s traveling, hiking, military, or sports.